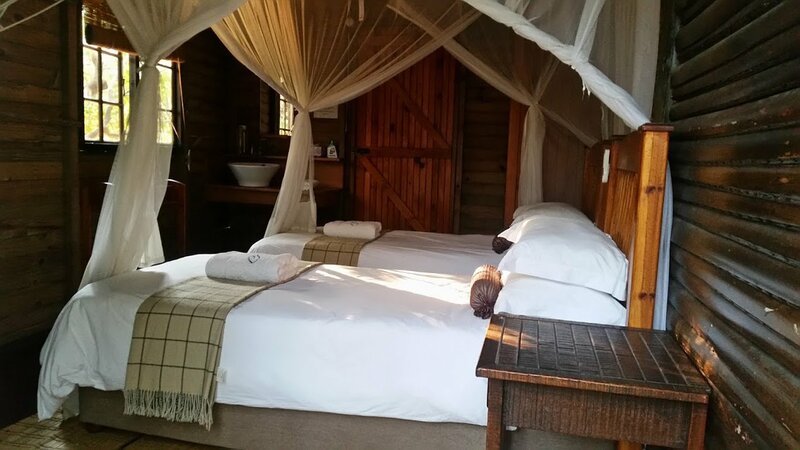 Our chalets are all en-suite and sleep two people each (an extra single bed can be added to some units). 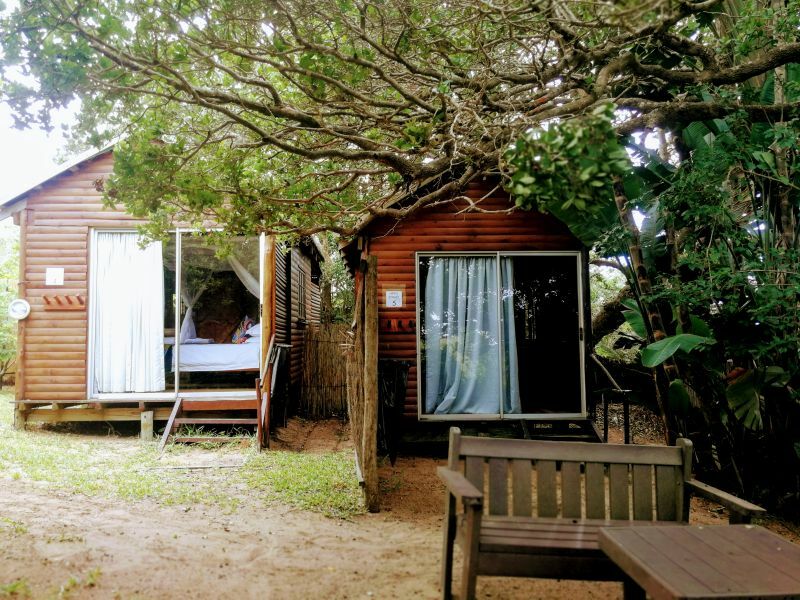 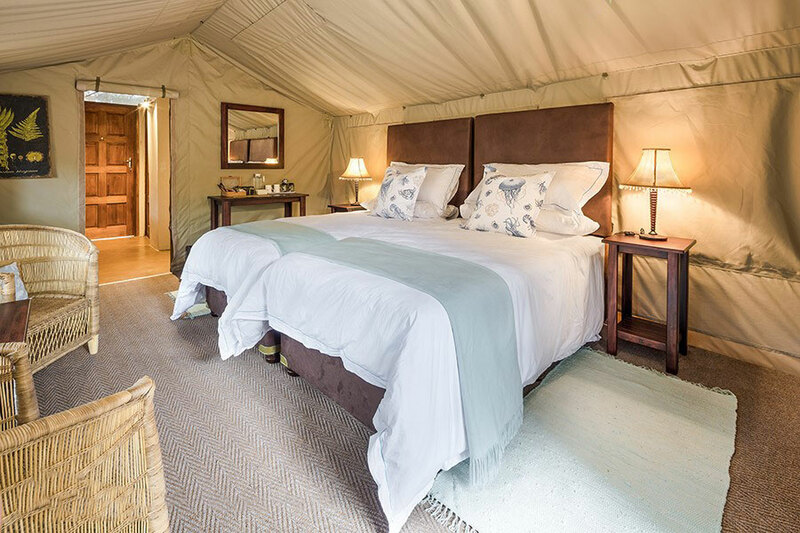 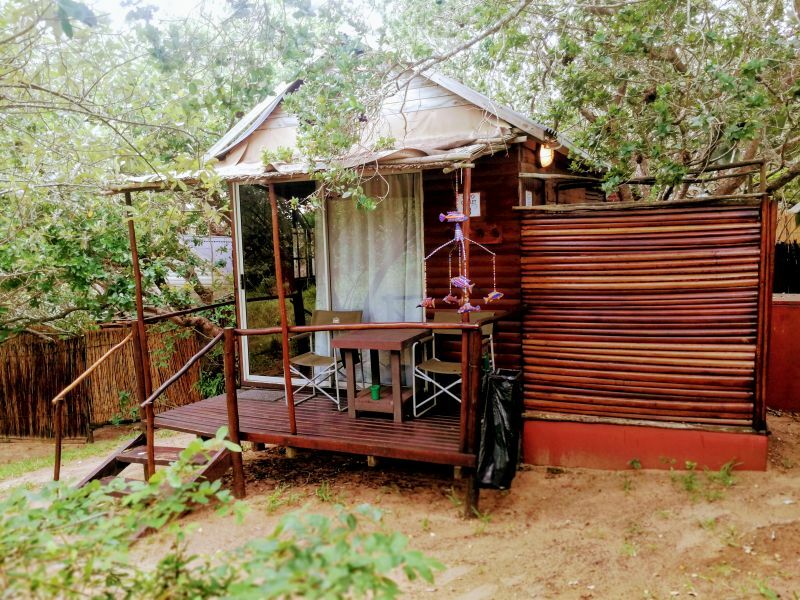 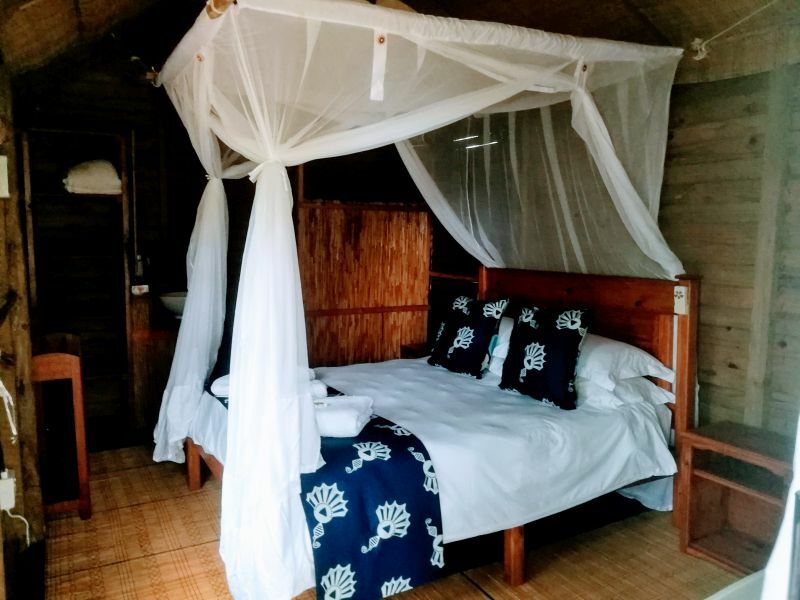 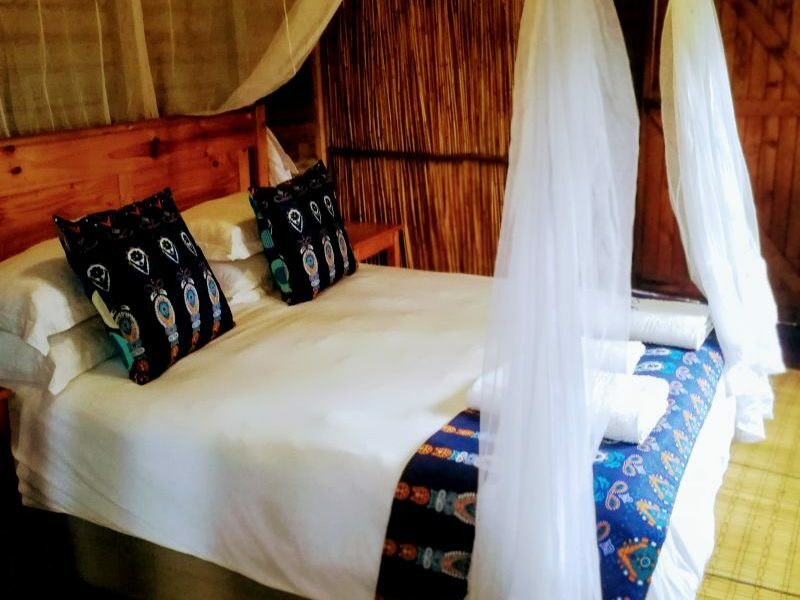 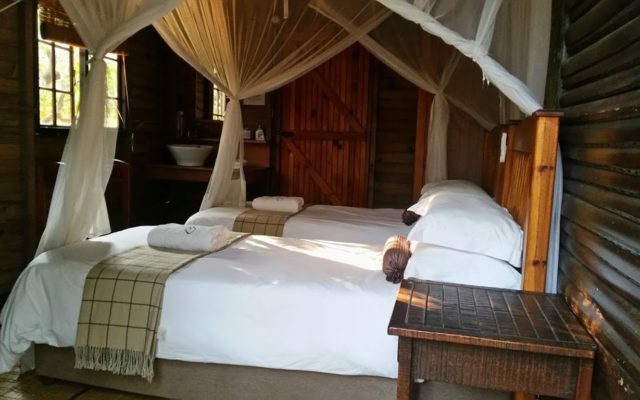 They are rustic and luxurious, constructed from wood and raffia palms and are situated in a private wonderful setting under big Umdoni (Waterberry) trees. 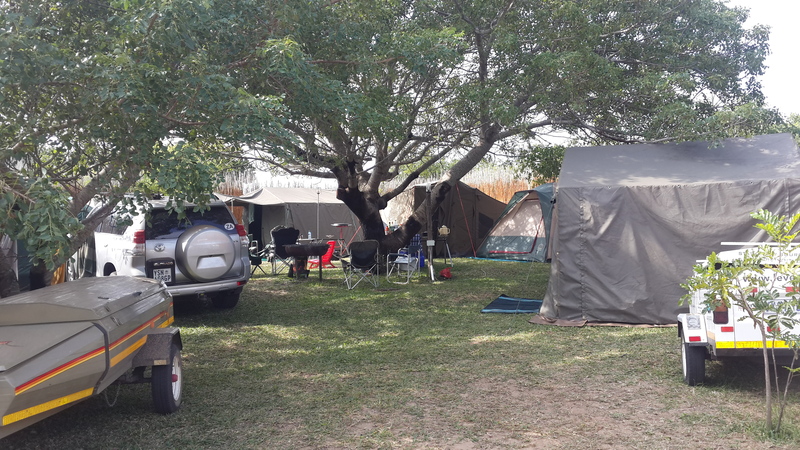 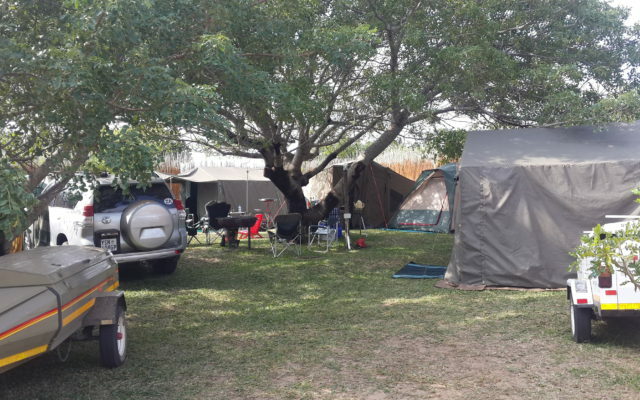 Each chalet has an outside sitting area with a braai. 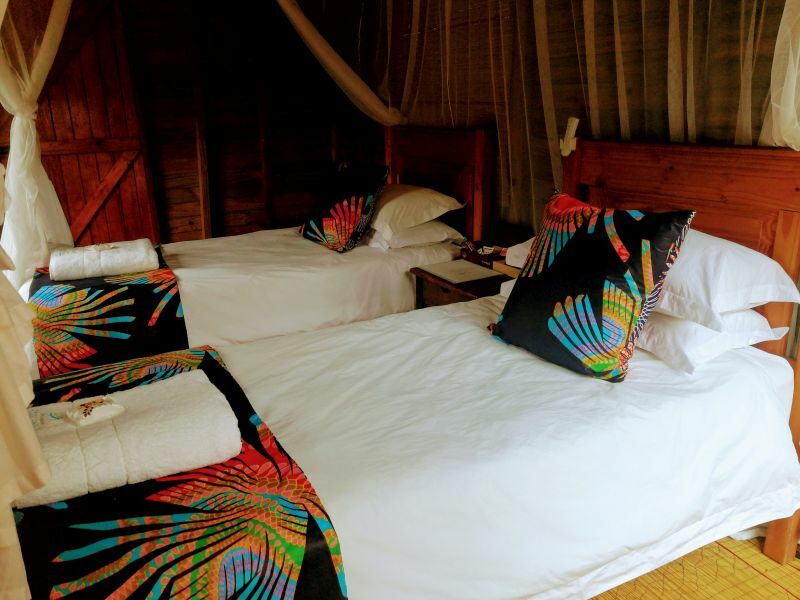 Chalets vary, with units having either a king-size bed, a queen-size bed or two single beds. 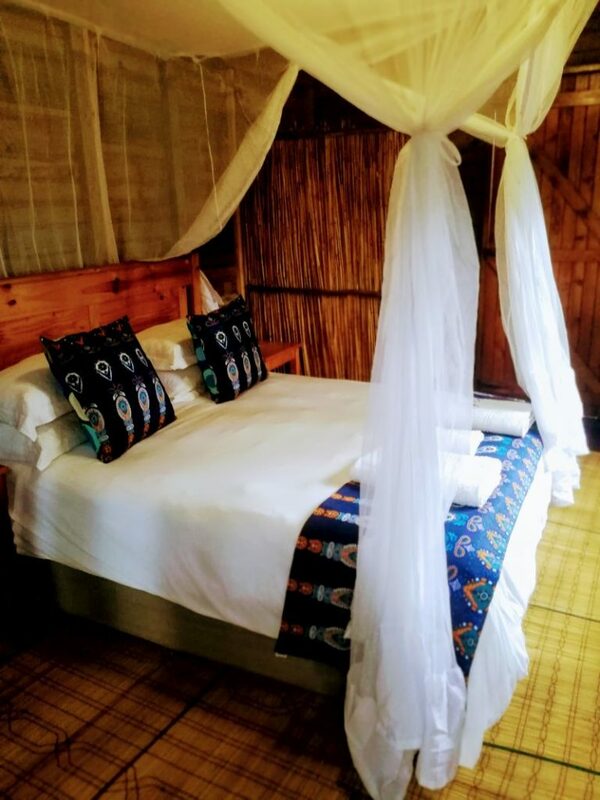 All beds have mosquito nets and ceiling fans. 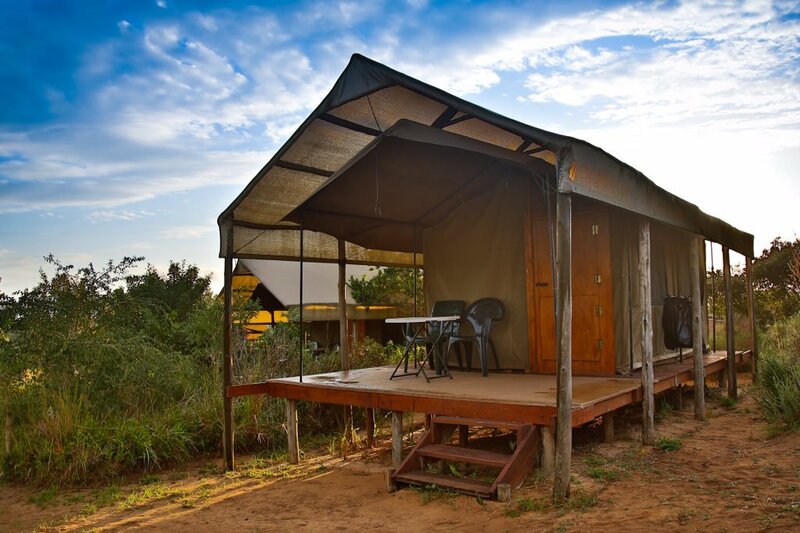 24-hour electricity is available from our solar power system. 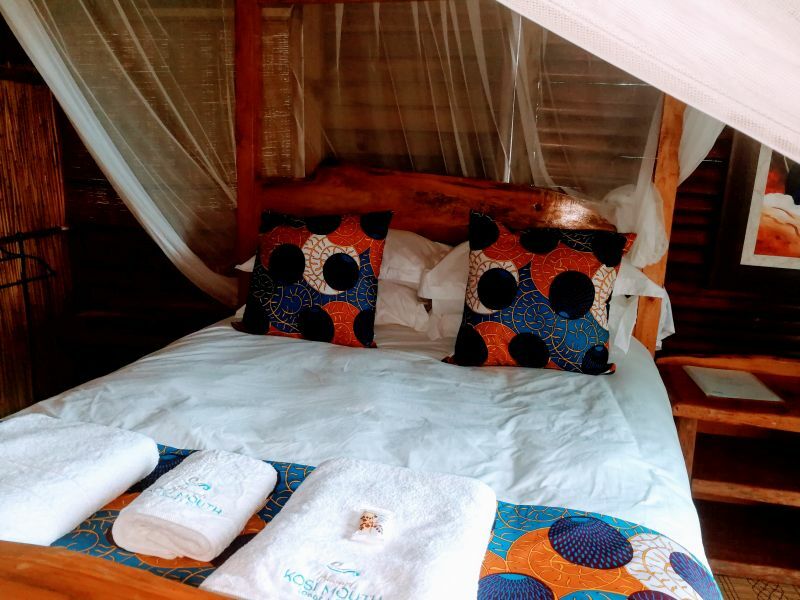 A fully equipped communal kitchen with stoves, ovens, and fridges is available for the chalet guests.